I've watched the opening matches out of SG and some of this weeks' in various hotel rooms and hotel bars, including yesterday's Japan-Colombia and Senegal-Poland games. Unfortunately I missed the Brazil-Switzerland and Germany-Mexico ties as I was inflight. Some amazing upsets so far! It's been a good tournament so far, and we came very close to losing those pesky Germans last night. I can't help thinking that 95th minute goal may be the turning point for them, again..
England played OK for half an hour fin the irst game, but I have a feeling we'll be back to the old days of struggling to break down a team sat back later today. We'll see..
Belgium look the best so far. But it all makes for gripping viewing, though! I was very impressed with Uruguay's performance yesterday. Last edited by yflyer; 26th June 2018 at 10:40 AM.. If I were going to go to a bookmaker these days, I would bet on Uruguay...there are stars out there, but who's playing as a team? Uruguay! Last edited by yflyer; 2nd July 2018 at 02:25 AM..
And yes, Uruguay is definitely a good bet. I was visiting the UK that year, and do indeed remember this song playing frequently. However, it wasn't until years later when I found out that it had a connection to the World Cup. Incredible how many goals are being scored in in the final minutes of matches. As a side note, was in Delhi again recently, and they were screening the matches on various TV screens in the airside departure area, as well as in the Lufthansa Lounge. Interestingly there still isn't a whole lot of interest in the World Cup among the locals in India -- mainly it's the foreigners and visitors who are glued to the screens here. I asked my colleague about it and he said that was because India wasn't in the finals, and cricket is the big sport there. 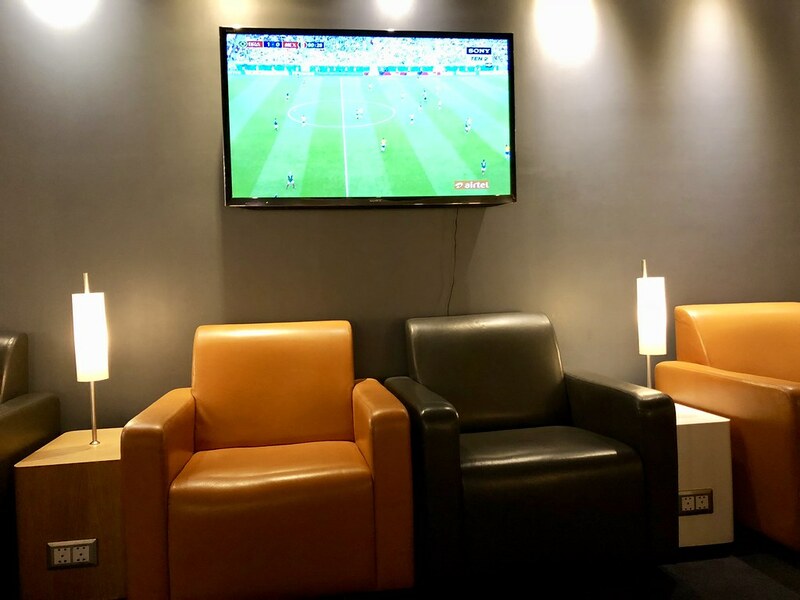 Was in the LH Lounge again earlier this week, just in time to watch Brazil score their 2nd goal, before heading to the gate to catch SQ403 home. Last edited by yflyer; 5th July 2018 at 11:15 AM..
What a fascinating article...thanks for sharing, saobangpo! Speedbird has now flown farther than it has in many years! Yes, very impressive...alas it seemed that they were on final approach to land but had to go around, and then divert. Might be a years long delay before they make it home to LHR! Giroud ? Think he was more of an APU.